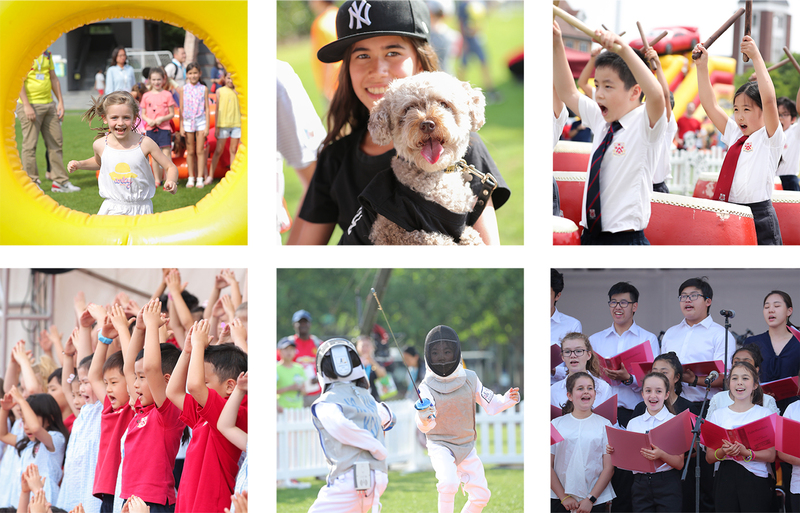 Dulwich College Shanghai Pudong celebrated Founder’s Day on Saturday, 2nd June. It was a fun-filled afternoon honouring our founder - Edward Alleyn. The day started with an exciting and intense Rugby Match on the Golden Bridge Field. Attendees were all extremely impressed with the Performing Arts that were showcased by our talented students. Senior School Dance 'Flashmob', World Percussion Ensemble, Junior and Senior School renditions, DUCKS Choir, Rock Bands and Senior School music all took place throughout the afternoon. Also inside, children enjoyed the Giant Octopus trampoline, Baby Ball Pool, Duck Pond, Table Football, Table Hockey, Green Panthers Workshop, Mathematics Challenges and six different College Service Projects! Meanwhile, outside children had fun playing on the Mcqueen Theme Double Slide, jumping on the Obstacle Course and Slides, playing inflatable Soccer and Darts, taking part in the Bowling Competition and team buidling activities with parents and friends. In the Main Arena, Dulwich fencers were on piste with courage and pride to demonstrate what they have learned in the fencing CCA. Audiences all enjoyed it! The highlight of the entertainment was the first ever Dulwich Dog Show. After 4 rounds of competition, 6 year old Poddle - Buffy won the "Best in Show" award. The show jumping performance amazed students, parents and staff. The day culminated with a stunning Finale Concert and a dazzling light show! The Founder's Day 2018 successfully closed with the music of "Pomp and Circumstance March No. 1" with waves of applauses from the audience.